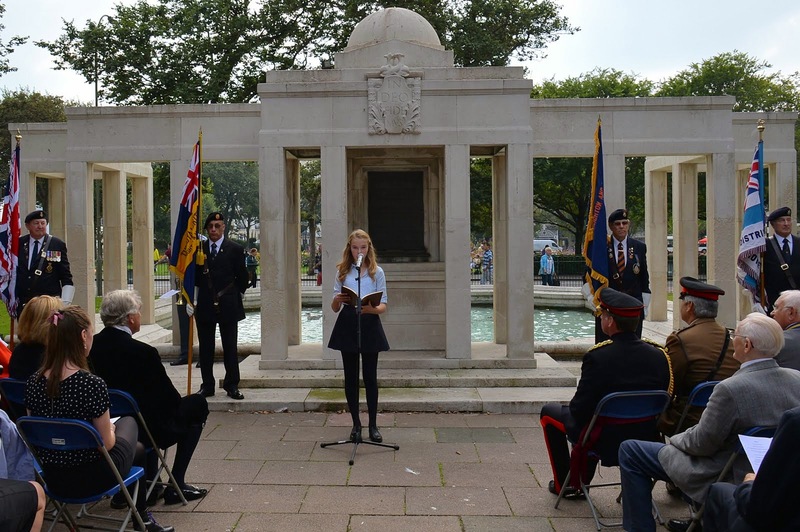 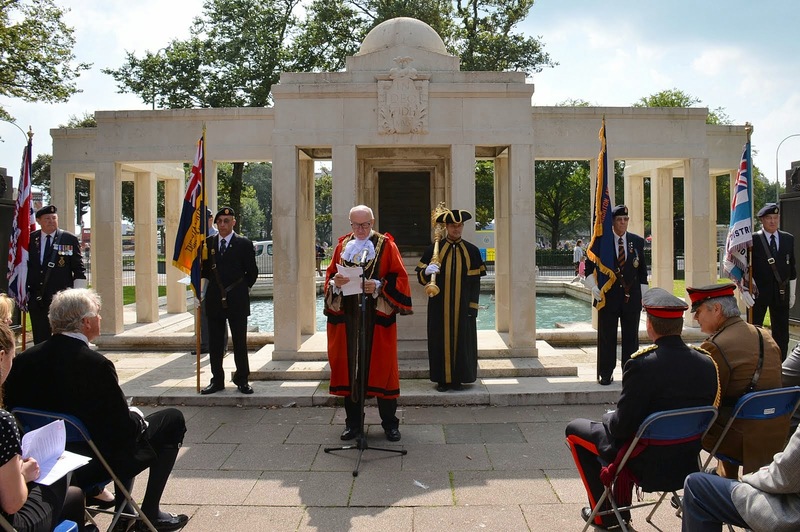 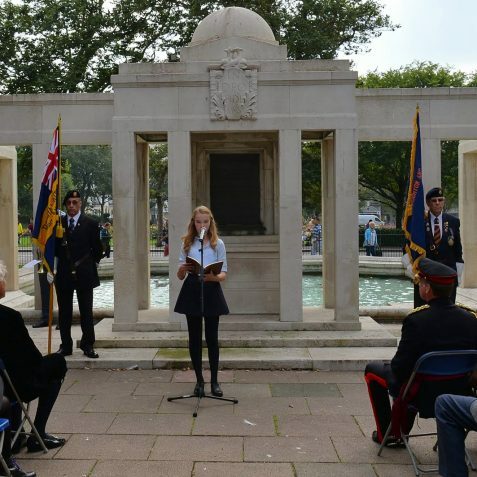 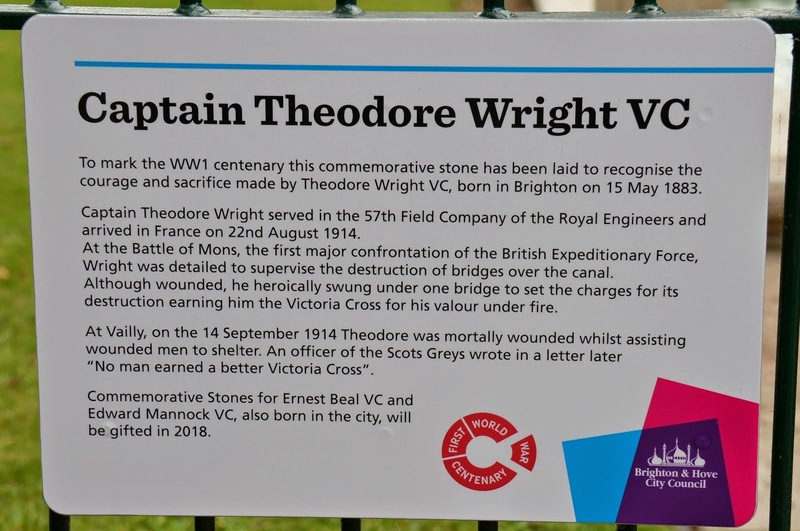 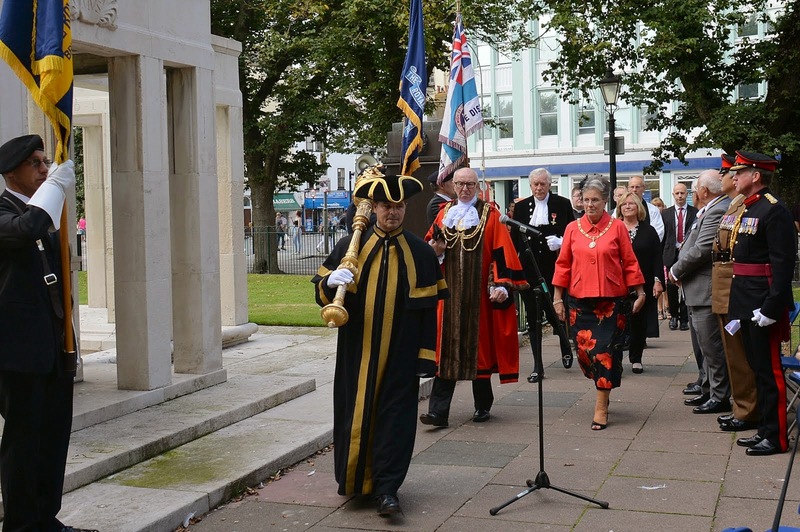 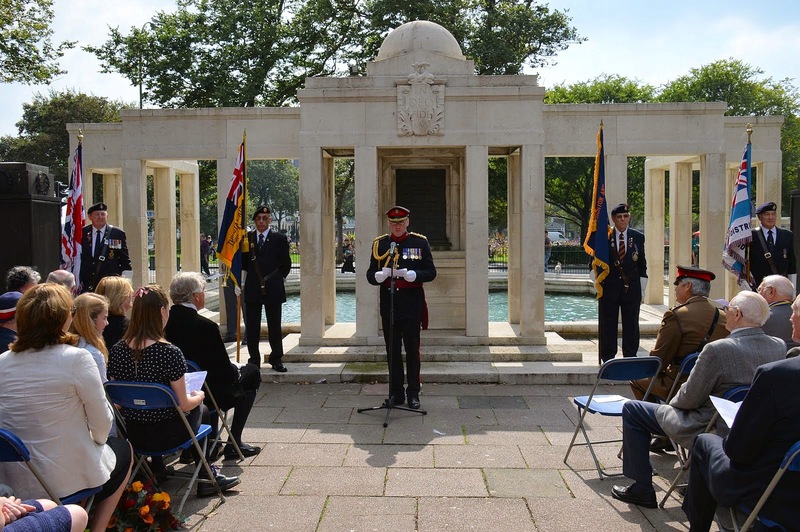 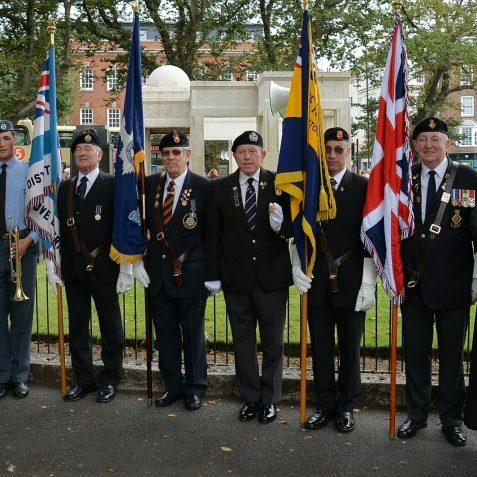 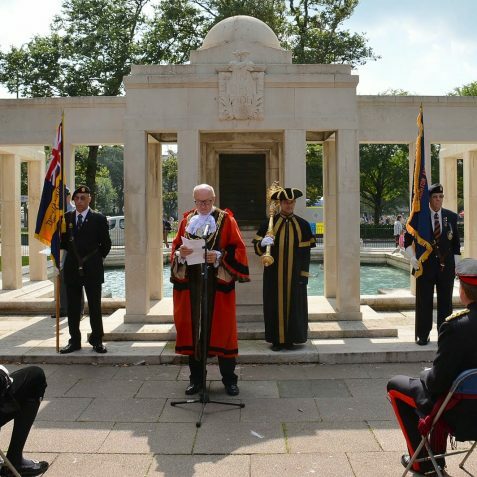 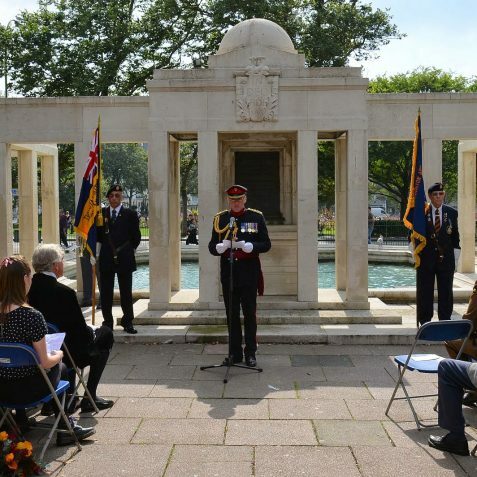 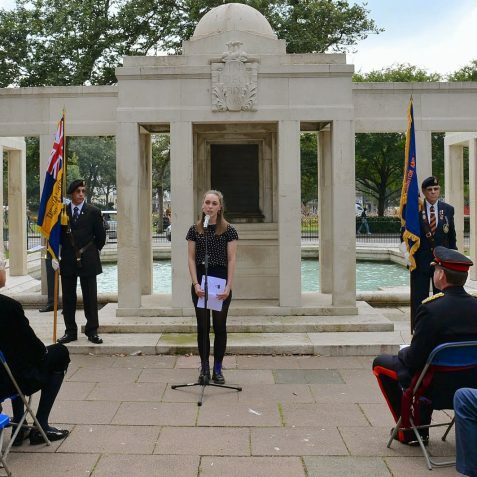 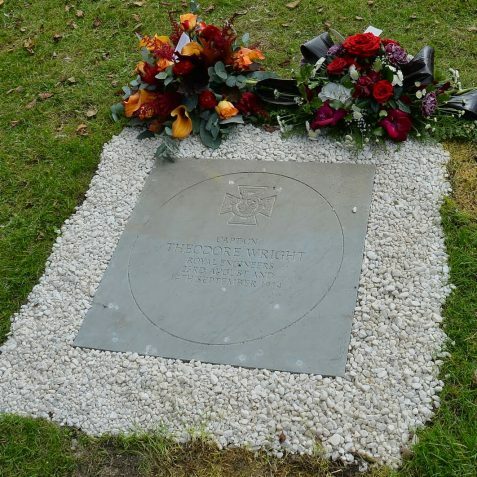 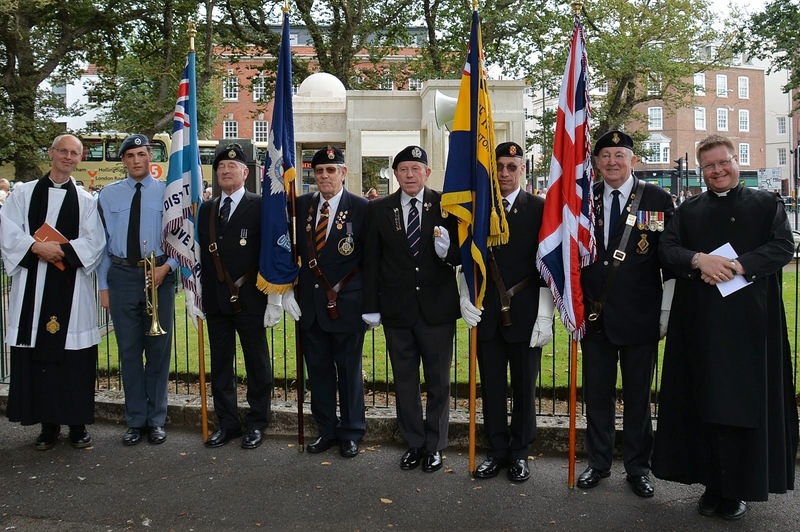 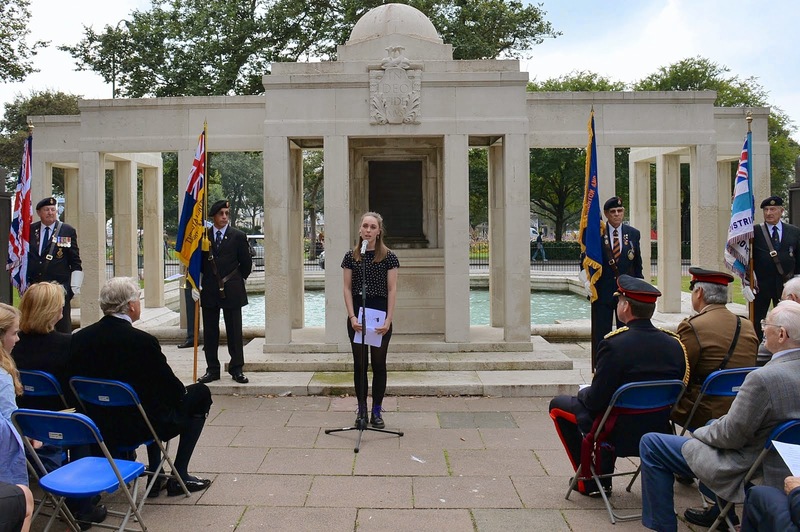 A commemorative stone and plaque was unveiled at Brighton War Memorial on Wednesday September 3 to honour the memory of Captain Theodore Wright, born in Landsdowne Place Hove, who was awarded the Victoria Cross in World War One. 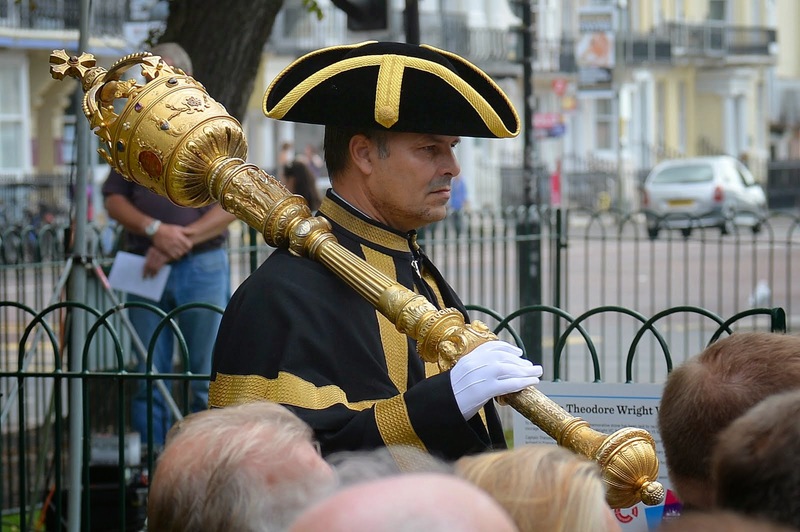 Descendants of Captain Wright were among those attending the ceremony. 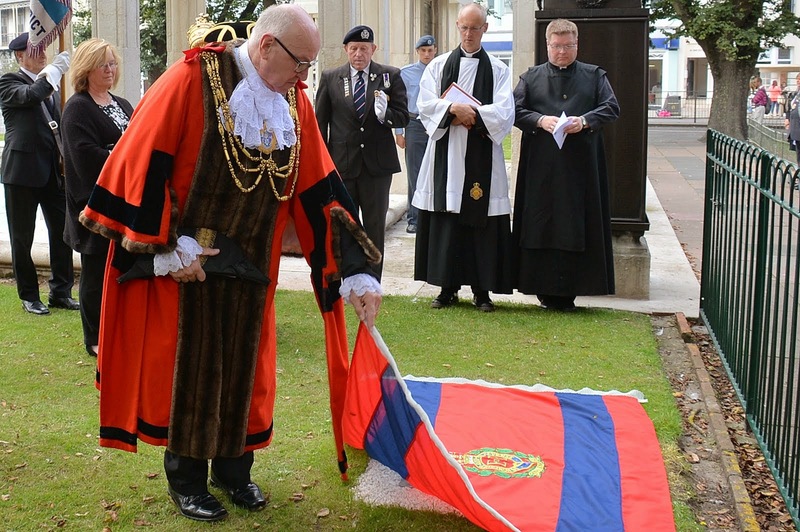 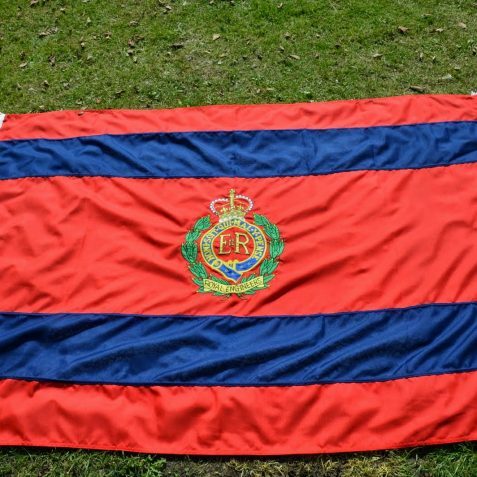 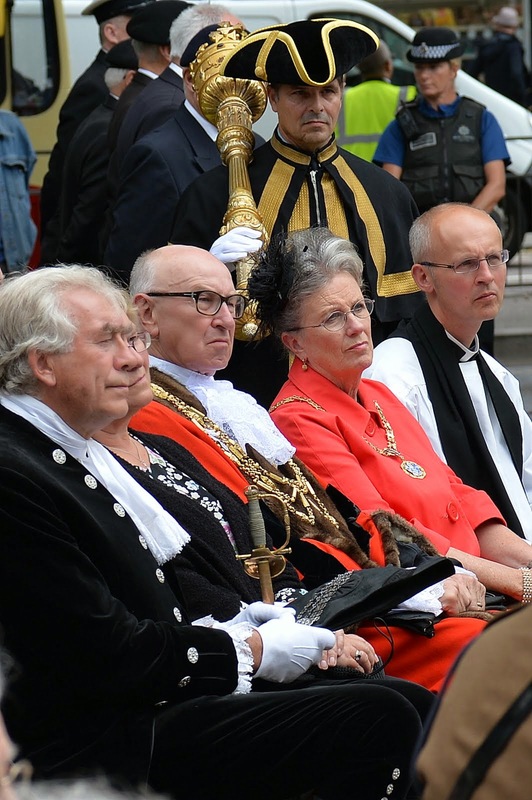 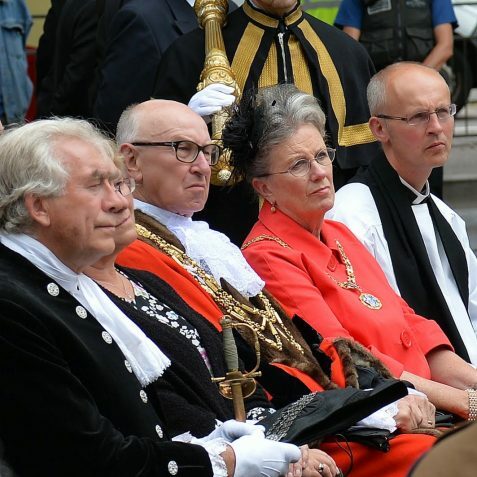 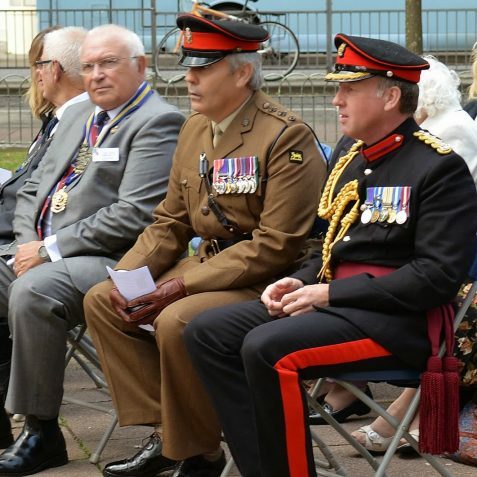 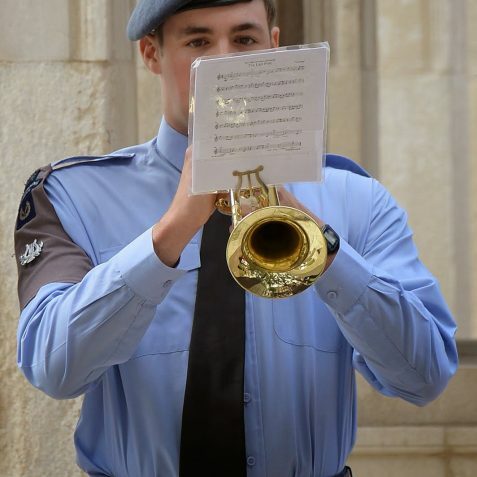 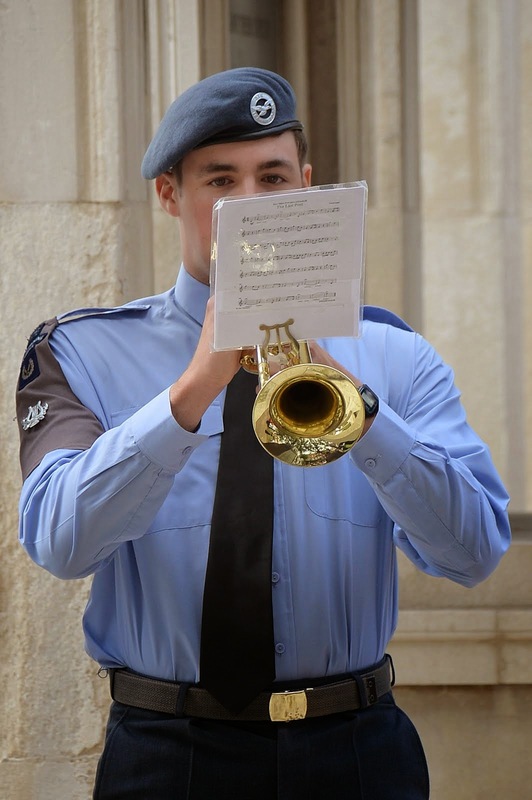 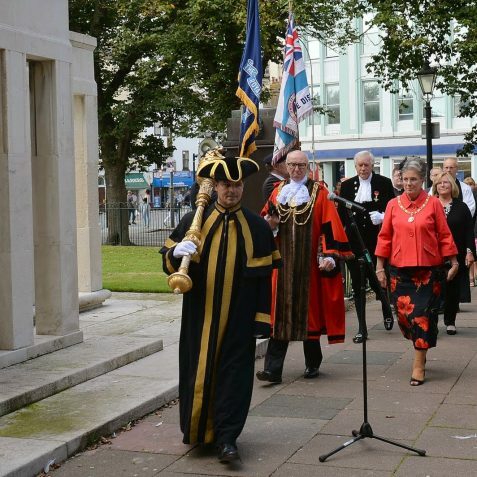 Others taking part included the Mayor of Brighton & Hove, Councillor Brian Fitch and the Mayoress Mrs Norah Fitch, the High Sheriff of East Sussex Mr Chris Gebbie, and a representative from the Royal Engineers. 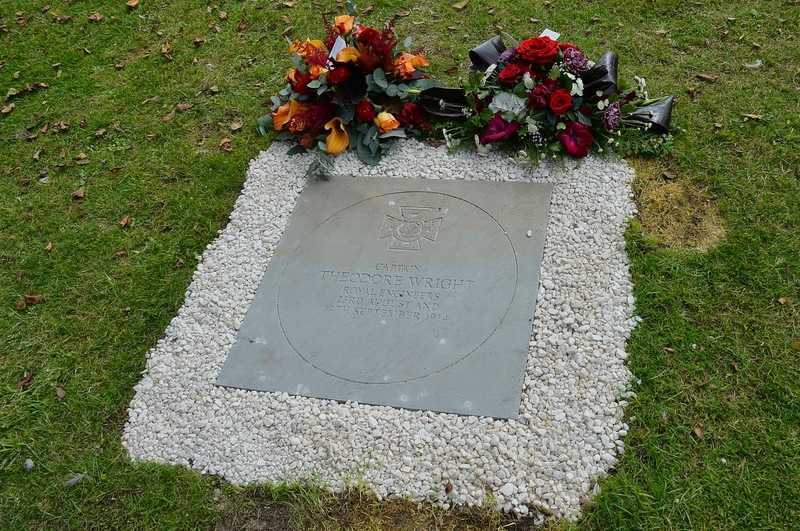 The Victoria Cross commemorative stone is part of a national scheme that will see every VC recipient of WW1 commemorated with a paving stone. 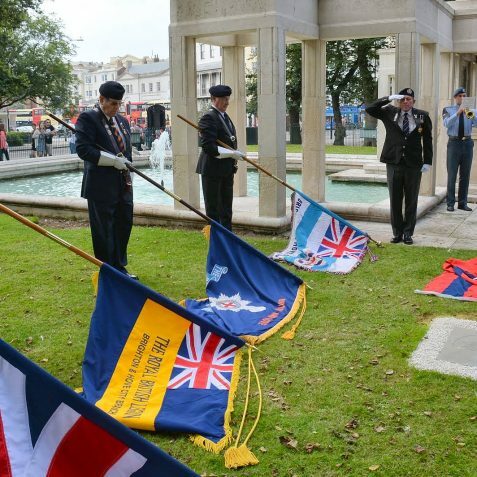 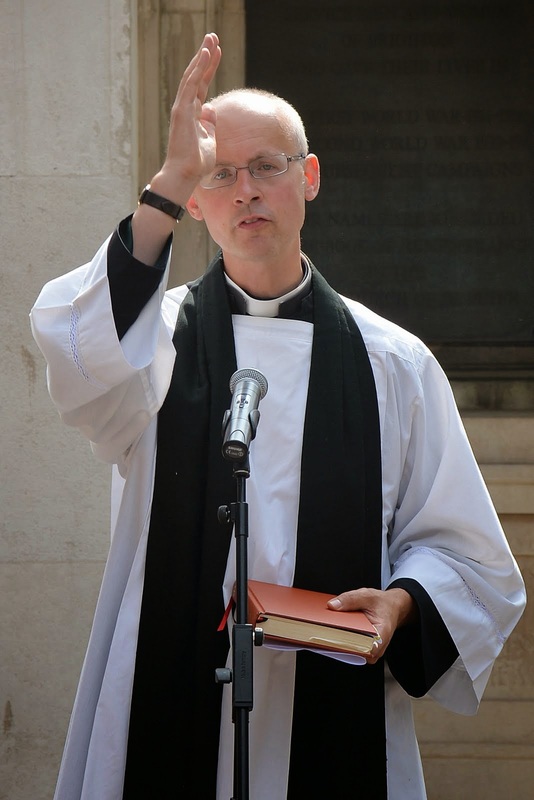 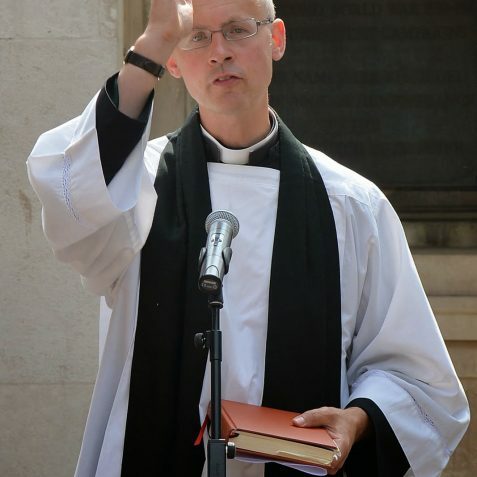 The allocation of commemorative stones has been decided nationally, with Brighton & Hove City Council organising the local unveiling ceremony. 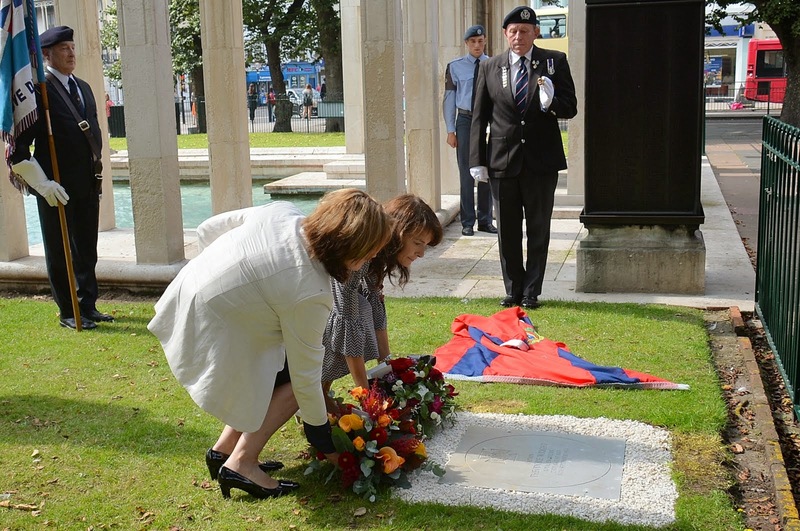 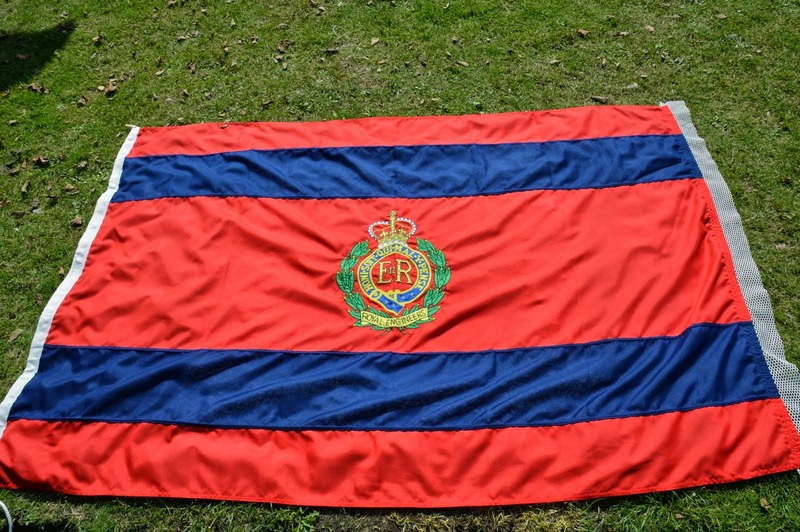 Captain Wright was with the British Expeditionary Force; he arrived at Mons on August 22 1914. 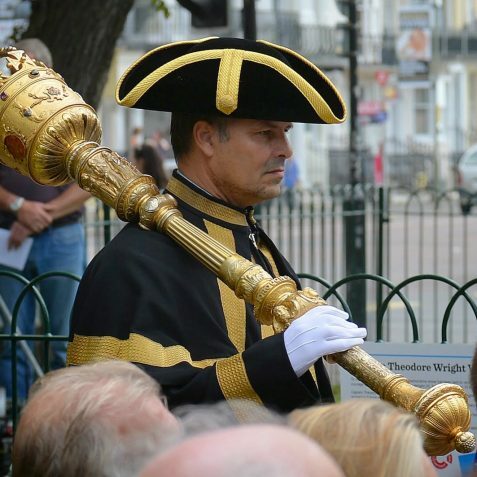 The following day he was detailed to supervise the destruction of eight bridges over the canal. 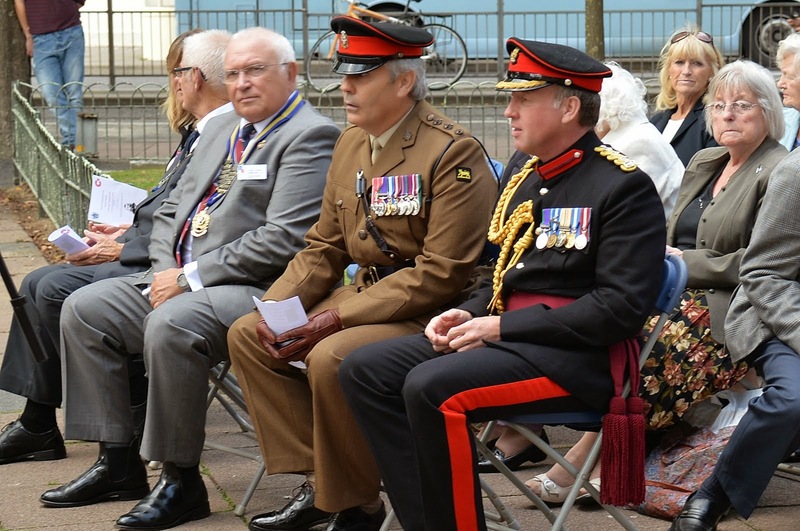 It was while attempting to connect the leads under one bridge that he earned his Victoria Cross. 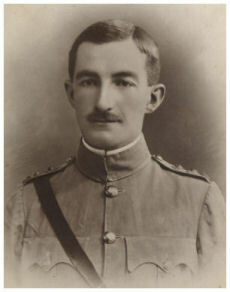 Despite being wounded by shrapnel early in the operation, Captain Wright continued to set charges under the bridges and, working with Lance-Corporal Charles Jarvis, managed to destroy Jemappes Bridge. The following month, at Vailly on September 14, Captain Wright assisted the passage of the 5th Cavalry Brigade over a pontoon bridge and was killed assisting wounded men to shelter. 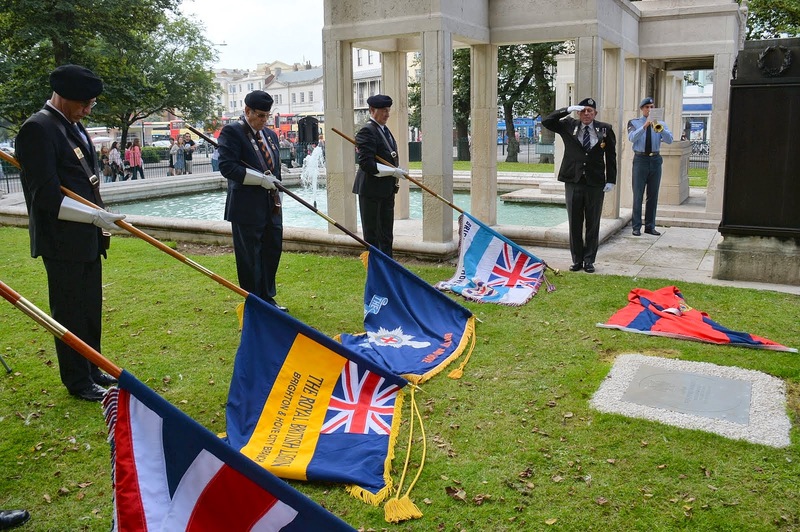 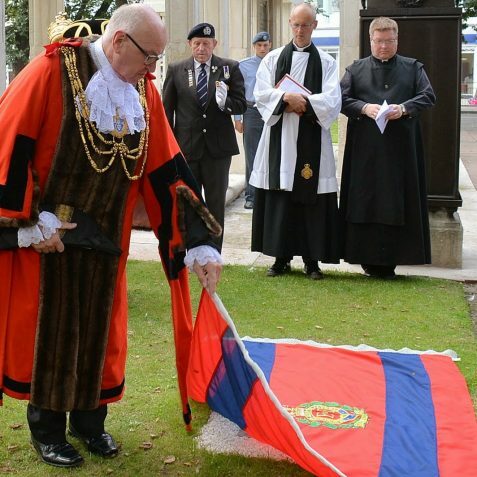 Glad that the birthplace of Hove has been clarified; certainly no reference was made in any wartime issue of the Gazette that I have seen to this hero or his award – the fact that he was not in this area for long clearly put him under the local radar. 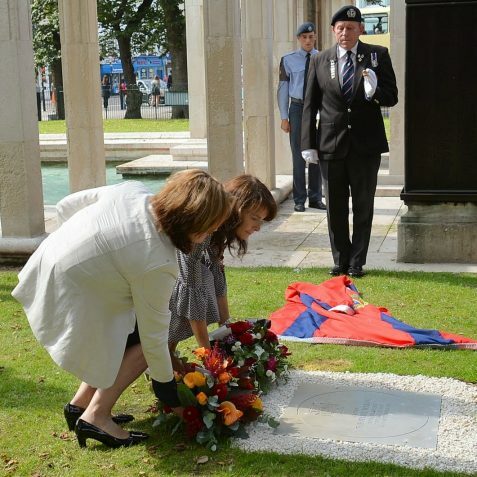 Shame on the media and anyone else for ‘feeding’ us with a contrived birthplace.